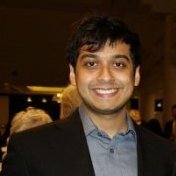 Hi, I'm Anjishnu, I work as an applied machine learning scientist on Alexa, Amazon's virtual assistant platform. I current work in the Amazon's Seattle office as an Applied Machine Learning Scientist working on giving Alexa a more sophsiticated memory. 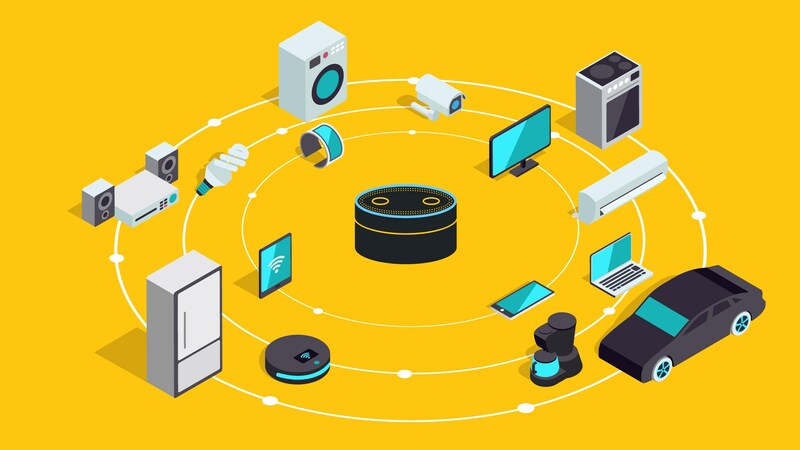 In the past I built the ML technologies Alexa Skills Kit (ASK) and AWS Amazon Lex spoken language SDKs, enabled customers to interact naturally with skills, and improved Alexa's ability to understand and answer factual questions. Alexa Skills Kit, Alexa Brain, Alexa Knowledge, Alexa Memory. Advisors: Michael Collins and Peter Bellhumeur. "Just ASK: Building an Architecture for Extensible Self-Service Spoken Language Understanding"
"Efficient Large-Scale Domain Classification with Personalized Attention"
"Using Ternary Rewards to Reason over Knowledge Graphs using Deep Reinforcement Learning"
Designed, prototyped, and helped productionize system that enables customers to talk to Alexa skills without needing to remember the name of the skill. Watch Alexa Science VP Rohit Prasad describe the feature at AWS Re:invent 2017. Built the first version of a system used to recommend relevant Alexa Skills to customers. The work done for ASK was developed and deployed as a spoken-language understading service for AWS, known as Amazon Lex. Lex can be thought of as ASK minus Alexa. Built the foundational capabilities for spoken language understanding platform that underpins the Alexa Skills Kit, which has deployed over 25,000 skills in the US, 30,000 all over the world. As an intern on the Amazon Echo team, I used a combination of voronoi iteration, bloom filters, feature hashing, elastic net regularization and weight quantization to reduce model sizes by 95% and increase inference speed by 25%, without any statistically significant loss in accuracy. Note: 7 more patent applications are currently pending with the USPTO: Watch this space. A minimalist Python library to build Alexa Skills using AWS Lambda. This library used to teach CIS 700 Deep Learning for Automated Discourse at the University of Pennsylvania. An Unofficial Twitter Alexa Skill written using ask-alexa-pykit. I implemented an Alexa Skill for Twitter, after pitching it to their business development team - it was adopted by a software engineering team as Twitter's official skill for Alexa. SUpeR REsolution, (A) Library. Implemented using Deep Convolutional Generative Adversarial Networks (DCGANs) in Keras. Contributions to MxNet's Gluon API, including advanced activation functions and examples. A local social network Android App with Machine Learning powered event mining from Twitter. A machine learning augmented image gallery for Android for semantic visual search. Basically Google Photo's image search implemented using a cloud-side cascade of Support Vector Machines, a year before Google launched the feature. A supervised keyword extraction system using a combination of Brown Clustering and RAKE. Given a small training sample, can learn to extract similar keyphrases. Developed for CollegeFeed to extract valid phrases from job listings. E.g. recognize Rust, Scala as being important keywords given Python and C in training data. Built a prototype opinion mining system using Recursive Neural Networks. Used machine learning and probabilistic data structures to compress a ML model by 95% and reduce inference time by 25% with no significant loss in accuracy. I worked on data engineering tasks for a distributed solar array in northern Africa, working on anomaly detection in sensor readings, with an aim to develop dynamic pricing strategies in the future. As a server side engineering intern, I migrated EA's push notification serving architecture from a monolithic to a distributed software architecture. I also built the components that serve push notifications to Amazon's Kindle line of devices. Weekly Columnist, wrote a column on Software and Technology for 3 years. Collegefeed was an early stage startup specializing in recruitments targeting college student. I donned several hats there, drafted growth strategies to penetrate the Indian market and executed customer acquisition campaigns in top tier Indian and US colleges. I also invented/implemented a natural language processing library that automatically discovers keywords from an employee's resume that are relevant to any given job listing. I worked as part of PwC's advisory division, helping draft policy and technology strategy for the Government of India's GST (Goods and Sales Tax) project, the largest tax reform in the world. As a process engineering intern in the Coal Processing division, I worked on regression models to project possible monetary savings and efficiency gains in a coal waste re-use project. O-Zone Networks Business Analyst Intern, Business Development / Strategy.